Myth #1: Fishy smell: If your fish smells that means it is probably not fit for consumption. Fish that has gone off releases a chemical called trimethlamine, fish that is fresh or frozen from fresh should have no smell. Myth #2: Mercury poisoning: the larger the fish is, the higher the concentration of mercury. Sardines are small fish at the bottom of the food chain that feed on plankton. Myths busted, now let’s check out some benefits. 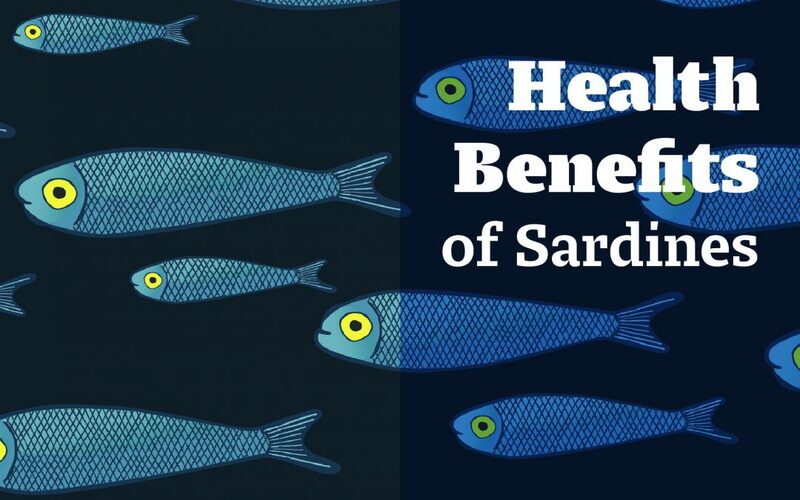 When compared to the foods listed above, sardines have a much denser nutrition profile and can be included in their nutrition program as a whole food protein source. Per 100g, sardines contain 176% of your daily value of calcium almost 15 time as much calcium as the equal weight of whole milk. 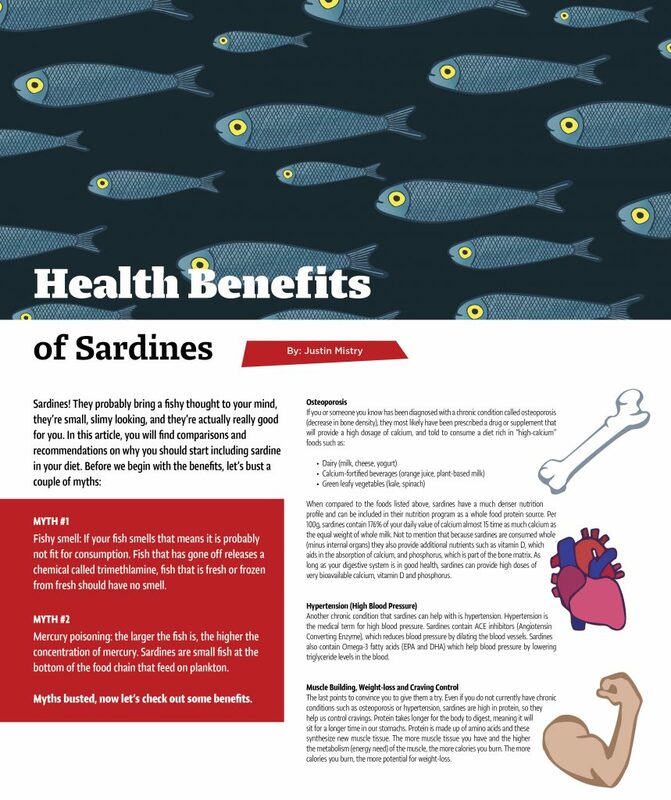 Not to mention that because sardines are consumed whole (minus internal organs) they also provide additional nutrients such as vitamin D, which aids in the absorption of calcium, and phosphorus, which is part of the bone matrix. As long as your digestive system is in good health, sardines can provide high doses of very bioavailable calcium, vitamin D and phosphorus. Another chronic condition that sardines can help with is hypertension. Hypertension is the medical term for high blood pressure. Sardines contain ACE inhibitors (Angiotensin Converting Enzyme), which reduces blood pressure by dilating the blood vessels. Sardines also contain Omega-3 fatty acids (EPA and DHA) which help blood pressure by lowering triglyceride levels in the blood. The last points to convince you to give them a try. Even if you do not currently have chronic conditions such as osteoporosis or hypertension, sardines are high in protein, so they help us control cravings. Protein takes longer for the body to digest, meaning it will sit for a longer time in our stomachs. Protein is made up of amino acids and these synthesize new muscle tissue. The more muscle tissue you have and the higher the metabolism (energy need) of the muscle, the more calories you burn. The more calories you burn, the more potential for weight-loss.